RAW HOLLYWOOD : LISTEN: JUNE'S DIARY COVERS SHAI'S "IF I EVER FALL IN LOVE"
LISTEN: JUNE'S DIARY COVERS SHAI'S "IF I EVER FALL IN LOVE"
Two weeks ago the lovely ladies of June's Diary release a revamped cover of r&b group Jodeci's classic "Stay" that fans absolutely loved along with the music video that accompanied the song. 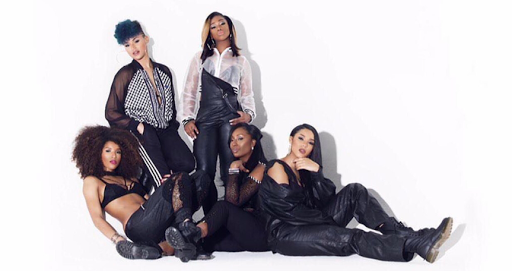 The five member group follows up with a new cover of Shai's 1992 hit "If I Ever Fall In Love". The a capella version see's the ladies harmonize over finger snaps as they keep the originality of the song intact brining the classic back to life over 20 years later. Take a listen after the cut.